The midfielder was cited after knocking over Derek Adams in a defeat to Ross County. Hearts will contest the notice of complaint served to Jamie Hamill by the Scottish FA following an incident involving Ross County boss Derek Adams. 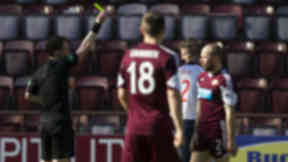 The midfielder was shown a second yellow card in the Scottish Premiership game earlier this month, prompting a charge of "excessive misconduct" from the governing body. 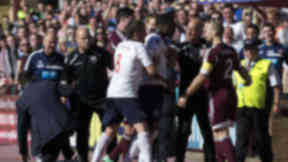 After jogging up the touchline with the ball, Hamill collided with Adams, knocking the Staggies boss to the ground as he celebrated scoring in the 2-0 win over County. He received a second yellow card from referee Willie Collum for the incident but must now answer the more serious charge before the disciplinary panel at Hampden. The Jambos have now confirmed they will contest the charge, with PFA Scotland lawyers dealing with the case. The hearing will take place at Hampden Park on Thursday, May 8.